Working as a helpdesk support agent can be extremely boring at times, especially on those days when you have customers asking you the same question over and over again. This just adds insult to injury especially when it's taking your time away from tackling the challenging tickets. What if there were a way for you to archive all commonly asked questions that will be readily available to you and other agents so you would not have to retype the message over and over again? With Trakdesk, you can easily add solutions for each commonly asked question and store them as Canned Responses which will be readily available to you and other agents to reuse at any time with a single click. 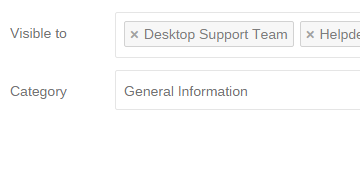 If you are like most businesses, you may have different levels of support teams such as the level 1 helpdesk guys who usually takes care of all the calls. Then, there is the level 2 and 3 guys who mostly work behind the scenes on the tough tasks that the level 1 guys cannot handle. With Trakdesk, each canned response you created can be restricted to specific teams allowing you to secure your data from all angles. Personalize each email reply with canned responses placeholders. 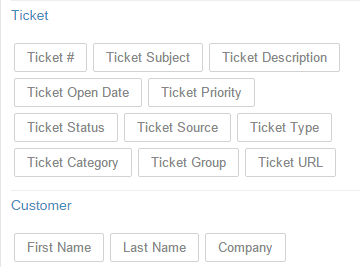 You can easily add dynamic content to each canned response you create so that your agents would not have to manually add the ticket subject, ticket URL or its priority to the email reply.